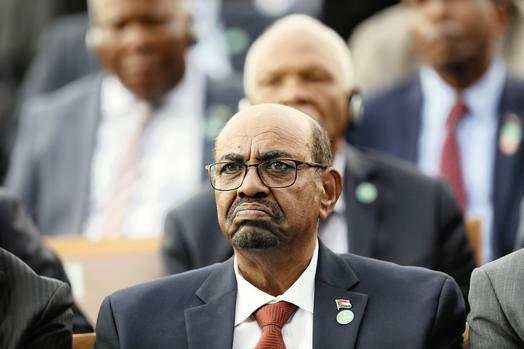 There is speculation that a coup attempt could be under way against Sudan’s President Omar al-Bashir, following state media reporting that the army is to make an “important” announcement soon, Reuters news agency says. On Wednesday night, protesters continued rallying outside the the defence ministry in the capital, Khartoum, to demand Mr Bashir’s resignation. Several military vehicles entered the army compound in Sudan’s capital, Khartoum, in the early hours of this morning, AFP news agency is quoting unnamed witnesses as saying. The Sudanese military Chiefs are currently meeting without President Omar al-Bashir. The Sudanese Presidential Palace has been surrounded by armed military forces. International support for the protests has been relatively slow to materialize although the so-called “troika” countries — the UK, US and Norway — issued a statement on Tuesday backing demonstrations for the first time. “The time has come for the Sudanese authorities to respond to these popular demands in a serious way,” the trio of Western diplomatic players said. Reeve said the statement didn’t go far enough. The AU Does not welcome coup detat.